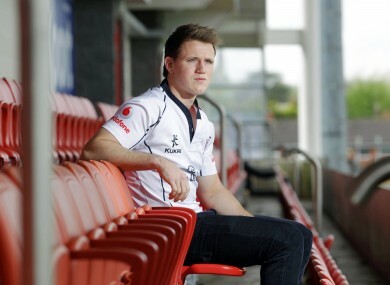 The Ulster winger acknowledges that Joe Schmidt’s men are favourites, but believes his side can spring a surprise. Gilroy has been in fine form this season. ULSTER’S CRAIG GILROY believes his side are good enough to upset Leinster in the Heineken Cup final on May 19 at Twickenham. The winger has been in fine form this season, scoring a wonder try in his side’s surprise quarter-final win over Munster. Ulster have won the Heineken Cup once (in 1999) previously, while Leinster have triumphed twice in the past three years. Email “Gilroy confident ahead of Leinster showdown”. Feedback on “Gilroy confident ahead of Leinster showdown”.